YUSUFALI: What is the Sure Reality? PICKTHAL: What is the Reality? SHAKIR: What is the sure calamity! YUSUFALI: And what will make thee realise what the Sure Reality is? PICKTHAL: Ah, what will convey unto thee what the reality is! SHAKIR: And what would make you realize what the sure calamity is! YUSUFALI: The Thamud and the 'Ad People (branded) as false the Stunning Calamity! PICKTHAL: (The tribes of) Thamud and A'ad disbelieved in the judgment to come. SHAKIR: Samood and Ad called the striking calamity a lie. YUSUFALI: But the Thamud,- they were destroyed by a terrible Storm of thunder and lightning! PICKTHAL: As for Thamud, they were destroyed by the lightning. SHAKIR: Then as to Samood, they were destroyed by an excessively severe punishment. SHAKIR: And as to Ad, they were destroyed by a roaring, violent blast. YUSUFALI: He made it rage against them seven nights and eight days in succession: so that thou couldst see the (whole) people lying prostrate in its (path), as they had been roots of hollow palm-trees tumbled down! PICKTHAL: Which He imposed on them for seven long nights and eight long days so that thou mightest have seen men lying overthrown, as they were hollow trunks of palm-trees. SHAKIR: Which He made to prevail against them for seven nights and eight days unremittingly, so that you might have seen the people therein prostrate as if they were the trunks of hollow palms. YUSUFALI: Then seest thou any of them left surviving? PICKTHAL: Canst thou (O Muhammad) see any remnant of them? SHAKIR: Do you then see of them one remaining? YUSUFALI: And Pharaoh, and those before him, and the Cities Overthrown, committed habitual Sin. SHAKIR: And Firon and those before him and the overthrown cities continuously committed sins. YUSUFALI: And disobeyed (each) the messenger of their Lord; so He punished them with an abundant Penalty. PICKTHAL: And they disobeyed the messenger of their Lord, therefor did He grip them with a tightening grip. SHAKIR: And they disobeyed the Messenger of their Lord, so He punished them with a vehement punishment. YUSUFALI: That We might make it a Message unto you, and that ears (that should hear the tale and) retain its memory should bear its (lessons) in remembrance. PICKTHAL: That We might make it a memorial for you, and that remembering ears (that heard the story) might remember. SHAKIR: So that We may make it a reminder to you, and that the retaining ear might retain it. SHAKIR: And the earth and the mountains are borne away and crushed with a single crushing. YUSUFALI: On that Day shall the (Great) Event come to pass. PICKTHAL: Then, on that day will the Event befall. PICKTHAL: And the heaven will split asunder, for that day it will be frail. YUSUFALI: And the angels will be on its sides, and eight will, that Day, bear the Throne of thy Lord above them. PICKTHAL: And the angels will be on the sides thereof, and eight will uphold the Throne of thy Lord that day, above them. SHAKIR: And the angels shall be on the sides thereof; and above ) I them eight shall bear on that day your Lord's power. YUSUFALI: That Day shall ye be brought to Judgment: not an act of yours that ye hide will be hidden. PICKTHAL: On that day ye will be exposed; not a secret of you will be hidden. SHAKIR: On that day you shall be exposed to view-- no secret of yours shall remain hidden. YUSUFALI: Then he that will be given his Record in his right hand will say: "Ah here! Read ye my Record! PICKTHAL: Then, as for him who is given his record in his right hand, he will say: Take, read my book! YUSUFALI: "I did really understand that my Account would (One Day) reach me!" PICKTHAL: Surely I knew that I should have to meet my reckoning. SHAKIR: Surely I knew that I shall meet my account. YUSUFALI: The Fruits whereof (will hang in bunches) low and near. PICKTHAL: Whereof the clusters are in easy reach. YUSUFALI: "Eat ye and drink ye, with full satisfaction; because of the (good) that ye sent before you, in the days that are gone!" PICKTHAL: (And it will be said unto those therein): Eat and drink at ease for that which ye sent on before you in past days. SHAKIR: Eat and drink pleasantly for what you did beforehand in the days gone by. YUSUFALI: And he that will be given his Record in his left hand, will say: "Ah! Would that my Record had not been given to me! YUSUFALI: "And that I had never realised how my account (stood)! PICKTHAL: And knew not what my reckoning! YUSUFALI: "Ah! Would that (Death) had made an end of me! PICKTHAL: Oh, would that it had been death! YUSUFALI: "Of no profit to me has been my wealth! PICKTHAL: My power hath gone from me. SHAKIR: My authority is gone away from me. YUSUFALI: "And burn ye him in the Blazing Fire. YUSUFALI: "Further, make him march in a chain, whereof the length is seventy cubits! PICKTHAL: And then insert him in a chain whereof the length is seventy cubits. SHAKIR: Then thrust him into a chain the length of which is seventy cubits. YUSUFALI: "This was he that would not believe in Allah Most High. YUSUFALI: "And would not encourage the feeding of the indigent! PICKTHAL: And urged not on the feeding of the wretched. SHAKIR: Nor did he urge the feeding of the poor. YUSUFALI: "So no friend hath he here this Day. YUSUFALI: "Which none do eat but those in sin." PICKTHAL: Which none but sinners eat. SHAKIR: Which none but the wrongdoers eat. SHAKIR: And that which you do not see. PICKTHAL: That it is indeed the speech of an illustrious messenger. YUSUFALI: It is not the word of a poet: little it is ye believe! PICKTHAL: It is not poet's speech - little is it that ye believe! YUSUFALI: Nor is it the word of a soothsayer: little admonition it is ye receive. PICKTHAL: Nor diviner's speech - little is it that ye remember! SHAKIR: Nor the word of a soothsayer; little is it that you mind. YUSUFALI: (This is) a Message sent down from the Lord of the Worlds. PICKTHAL: It is a revelation from the Lord of the Worlds. 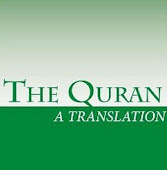 SHAKIR: It is a revelation from the Lord of the worlds. SHAKIR: Then We would certainly have cut off his aorta. YUSUFALI: Nor could any of you withhold him (from Our wrath). PICKTHAL: And not one of you could have held Us off from him. SHAKIR: And not one of you could have withheld Us from him. YUSUFALI: But verily this is a Message for the Allah-fearing. PICKTHAL: And lo! it is a warrant unto those who ward off (evil). SHAKIR: And most surely it is a reminder for those who guard (against evil). YUSUFALI: And We certainly know that there are amongst you those that reject (it). PICKTHAL: And lo! We know that some among you will deny (it). SHAKIR: And most surely We know that some of you are rejecters. YUSUFALI: But truly (Revelation) is a cause of sorrow for the Unbelievers. PICKTHAL: And lo! it is indeed an anguish for the disbelievers. SHAKIR: And most surely it is a great grief to the unbelievers. YUSUFALI: But verily it is Truth of assured certainty. PICKTHAL: And lo! it is absolute truth. YUSUFALI: So glorify the name of thy Lord Most High. PICKTHAL: So glorify the name of thy Tremendous Lord. SHAKIR: Therefore-glorify the name of your Lord, the Great.